Seeing as we're getting into mid-September, it's time for more of the creepy and crawly items of Halloween to really start infiltrating en-masse into society. Sure, my local grocery store has had Halloween candy out for almost a month now, but by this point, it's a bit more appropriate. 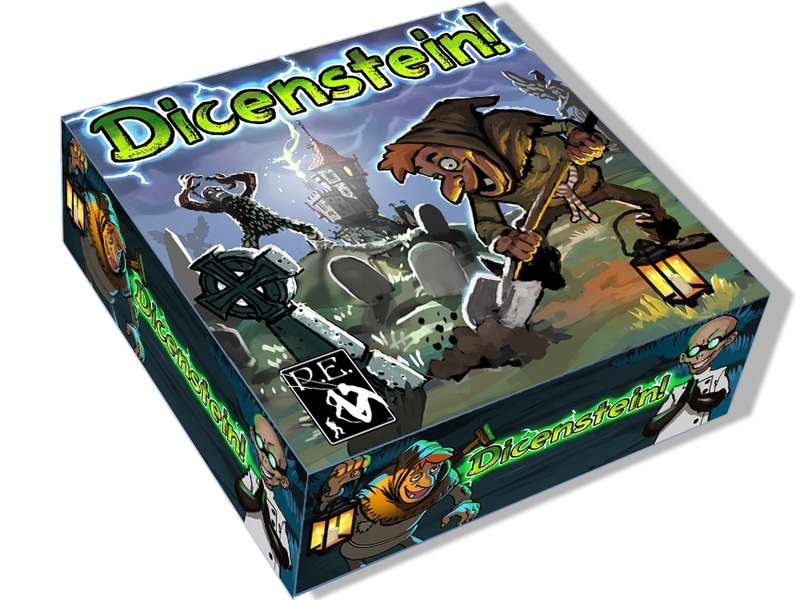 Petersen Games, thusly, is running a Kickstarter campaign for Return to Castle Dicenstein, their monster-building and fighting dice game. In the game you play as mad scientists trying to construct the most diabolical of monsters... so you can have them fight one-another, of course. Roll your dice and create your gruesome minion to do your bidding. But make sure the stitching and spot-welds are good, because the enemy is going to look to knock your monster's block off. The campaign's close to 1/3 funded with still 20 days left to go.